Two canal boats that may date back to the mid 1800’s have been discovered in Lake Ontario by a team of shipwreck explorers. 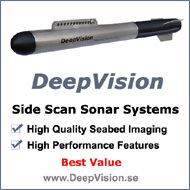 Jim Kennard, Roger Pawlowski, and Roland Stevens located the canal boats using DeepVision side scan sonar while searching for shipwrecks off Oswego, NY. Locating canal boats in Lake Ontario is an unusual event as these craft were not built for transportation on the open lake. 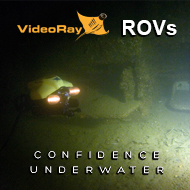 This past season visual exploration of the canal boats was conducted utilizing both technical divers and an underwater remote operated vehicle. The remains of a small shallow draft canal boat with a length of 65 feet and a beam of 14 feet was found with a portion of its stern torn away. There is no evidence of an upper deck, cabin, or any remaining cargo. It can be speculated that whatever cargo this canal boat was carrying probably caused the stern to break away during turbulent lake conditions. A canal scow with a length of 78 feet and beam of 14 feet was found with its entire port side torn away. This is also a shallow draft vessel of around 4 feet. Here again, caught in rough conditions while crossing the lake the shifting cargo probably caused the side of the scow to collapse and the vessel to founder. Both canal boats were found within a few miles of each other on a route approximately midway between Oswego and Sackets Harbor. During the 2014 season the canal boat and scow were explored using a VideoRay Remote Operated Vehicle. Technical divers Bob Sherwood and Andrew Driver provided more video and close up inspection of the construction details of the canal boat wreck. Both of the canal craft wrecks are in depths exceeding 200 feet which is beyond the safe diving range of recreational SCUBA divers. Neither the canal boat or canal scow had a name board attached so the identification of these wrecks could not be determined. A review of a database maintained by Kennard of over 600 Lake Ontario shipwrecks did not turn up a good match for either of these vessels. There are, however, some clues to the time period when these canal craft were in operation. The size of both vessels could put them in the period from 1850 to 1862 when the Erie Canal system had been widened to accommodate boats up to 90 feet in length and 15 feet wide. The canal boat utilized a plank-on-frame type of construction which was the most common type of design during this period. This was a self-supporting skeletal frame with exterior shell planking. The vertical frames were attached to the bottom frames with cross braces. Builders of canal boats used a variety of construction designs based on the work these boats were intended for. Canal boat builders would not have designed a shallow draft vessel of similar construction to withstand the pounding and stress needed to survive on Lake Ontario during a storm. The canal craft which the explorers discovered were fine for travel on the Oswego and Erie Canals but not strong enough for open lake travel. It can be speculated that the owners of the canal boat and canal scow decided to use their vessels to transport cargo to or from Oswego or Sackets Harbor. They took the chance that if Lake Ontario was calm they could make their intended destination without any problems. Unfortunately, the conditions on Lake Ontario can change very quickly from calm to high wind and waves. No shallow draft canal boat could survive in those conditions. The survey of historic shipwrecks in Lake Ontario was funded by a grant from The National Museum of the Great Lakes/Great Lakes Historical Society of Toledo, Ohio. Jim Kennard has been diving and exploring the lakes in the northeast since 1970. He has found over 200 shipwrecks in the Great Lakes, Lake Champlain, NY Finger Lakes and in the Mississippi and Ohio Rivers over the past 40 years. In 1983 he discovered a unique horse powered ferryboat in Lake Champlain. National Geographic featured the ferryboat in their October 1989 issue. 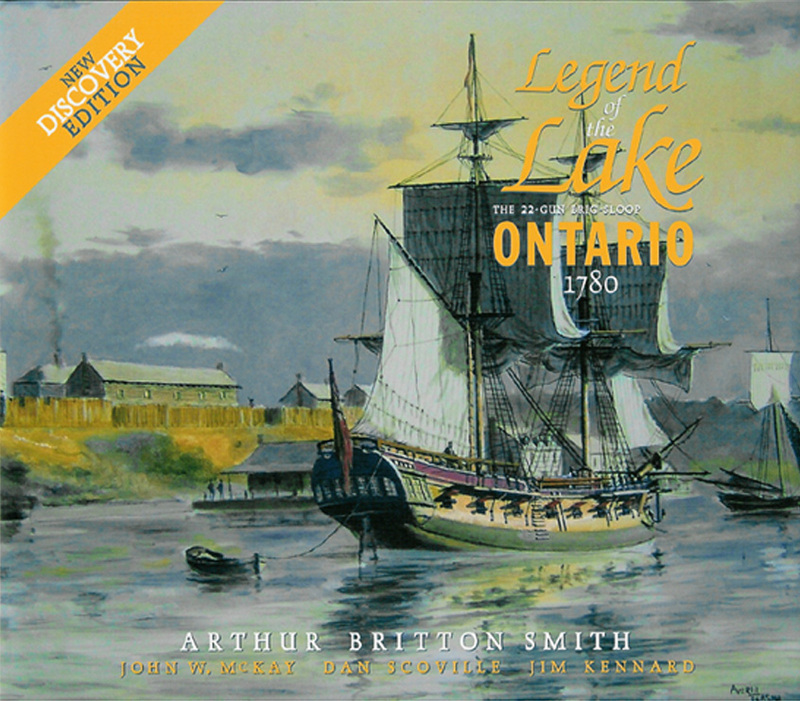 In May 2008 Jim Kennard and Dan Scoville discovered the 234 year old British warship HMS Ontario, the oldest shipwreck ever found in the Great Lakes. Kennard is a Fellow member of The Explorers Club. Roger Pawlowski has been diving on shipwrecks in the northeast and Florida for the past 14 years. He is a retired Air Force Reserve pilot and flew missions in Desert Storm. In 1980 while flying a practice mission over Lake Ontario he witnessed a small aircraft plunge into the lake. His details of the incident and location helped Kennard locate the aircraft which was several miles from shore and in over 100 feet underwater. Pawlowski is an electrical engineer and runs his own engineering consulting business. This information given is extremely interesting. Keep up the great work you guys are doing. Be Safe& God Bless.